LAWYERS GET RICH #2: HANA MODZ SUES 2 MORE VENDORS. By vapor-Wednesday, June 11, 2014-Uncategorized-Comments Off on LAWYERS GET RICH #2: HANA MODZ SUES 2 MORE VENDORS. HANA MODZ – IS THE “H” FOR HYPOCRISY? The H with the albatross in the center is not Trademarked – Feel free to use it. Lets be clear, this isn’t about cloning – This is about hypocrisy… Over the last year Hana Modz has sued at least 5 different companies for cloning their product. 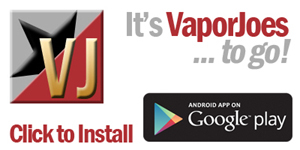 Vaporjoes covered all the law suits and provided public court documents to the vape community. One company actually lost the case and owes Hana Modz hundreds of thousands of dollars. Today the Vaporjoes Network has learned from Vape Politics (Link here) that Hana Modz were including cloned VapeBands with their new mod “The Hana One” when people placed orders. You can also see them pictured here. Cloning is cloning regardless of the value of the product. What a hypocritical move on the part of Hana Modz! 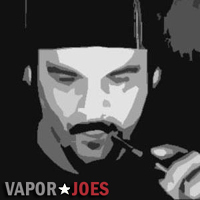 Vaporjoes is not against cloning, we are, however, against hypocrisy. I asked the owner of VapeBands, Andrew Kaye, for his thoughts on the matter but he would not comment. There are two questions here. Is it legal? Is it moral? Those are questions that will have to be handled on two fronts. The courts may have to handle the legal side of this, but the community will handle the moral and hypocritical side. Hana Modz has painted themselves in a poor light since the law suits – this situation can’t help them. VapeBands has hundreds of companies buying their product. A name brand like Hana Modz using a cheap and inferior product may damage VapeBands reputation. People may think what they are including with their mod are actual VapeBands and this may reflect poorly on Andrew’s company. Isn’t that what Hana told us when their mods were cloned? By vapor-Saturday, June 13, 2015-Uncategorized-Comments Off on HANA MODZ – IS THE “H” FOR HYPOCRISY?